1/2 yard of cotton monks cloth with SERGED EDGES. It will arrive ready to begin your next rug hooking project. Three sides of this piece are serged. The 4th side is a woven selvage edge. This backing fabric is used for hooking rugs. It is 100% cotton and measures approximately 29"x 36". 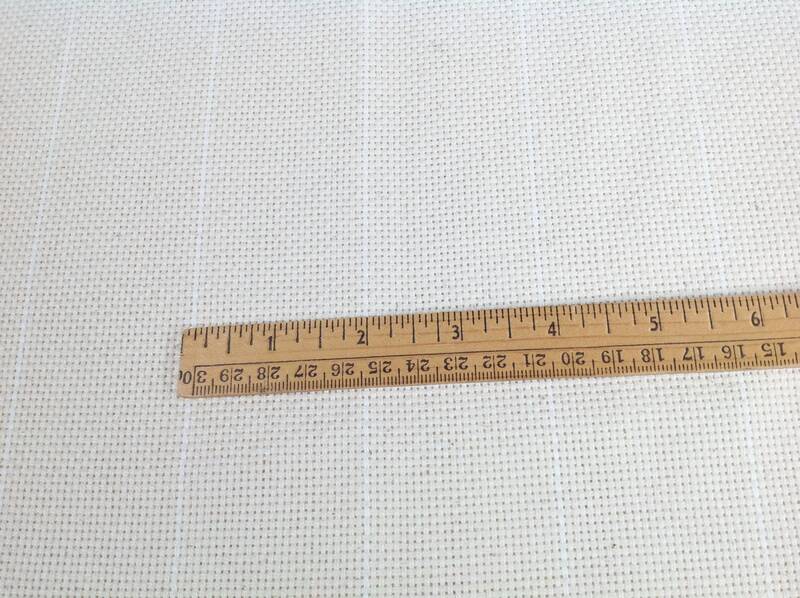 The thread count per inch is 12 x 12. It is great for hooking with all cuts of wool, from fine to primitive cuts. A white thread runs about 2" apart along the length and helps with drawing designs on the straight of grain. Cotton monks cloth is strong and durable and is a sure foundation for your hooked rugs. It is loosely woven and therefore the edges need to be finished or it will ravel away as you are hooking on it. So for those of you who don't sew, or don't have time to finish the edges, this is a great option. 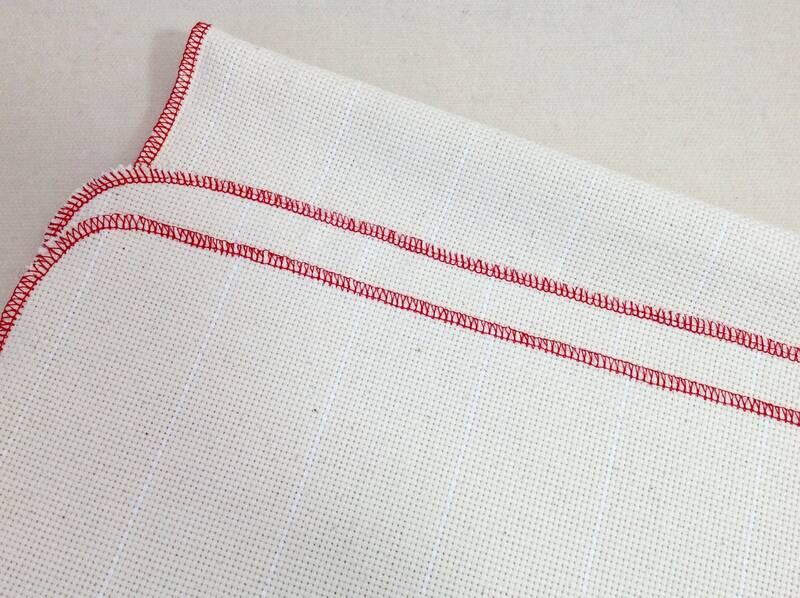 To see other sizes of monks cloth and to see primitive linen backing, see the Hooking Supplies Section. Designs In Wool is a smoke-free, pet-free environment. Many thanks for the fast shipping and top quality monks cloth, Mary! Mary was very kind, responded to my message and questions quickly. Fast shipping too! Thank you!